Album Cover from Metal Archives. The last two days of this challenge have been quite difficult and this doesn’t do any exception. I instantly came up with a song title that describes my personality – Led Zeppelin’s “Communication Breakdown”. What a great song it is! And how lousy speaker am I! Writing my thoughts down is something that’s natural to me, but speaking them out loud is almost impossible. And I feel the words always come out in a way they really weren’t meant to be. So that’s the reason this song describes me well. But naming a complete album title that describes my personality wasn’t that easy task to do… There’s so many albums in the world! 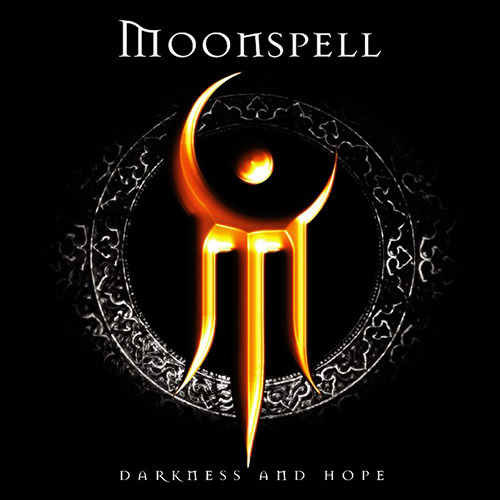 Maybe I take the easy way and name “Darkness & Hope” (2001) from Moonspell, since even in the darkest moments I wanna try to cherish the hope. Every dark cloud has it’s silver lining even though it isn’t always so easy to find. You just gotta have hope. And of course, that is one of my favourite albums!